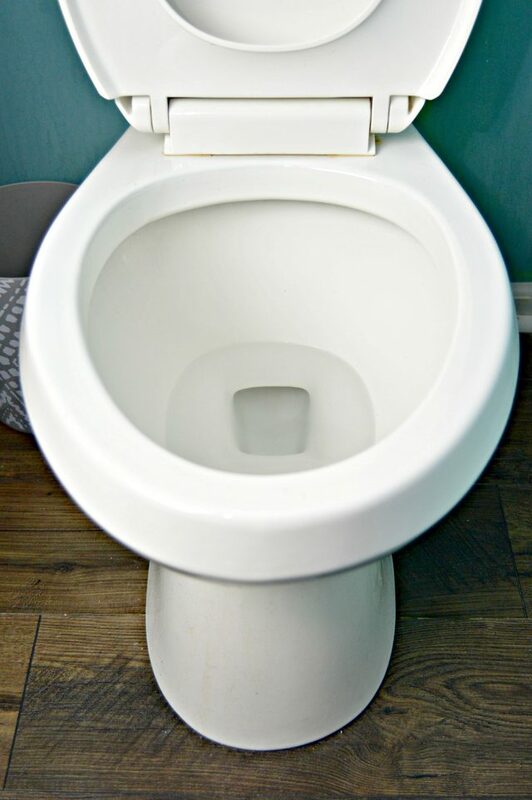 Cleaning toilets is not much fun at all, but I have a few easy toilet cleaning hacks that will make it a little easier. 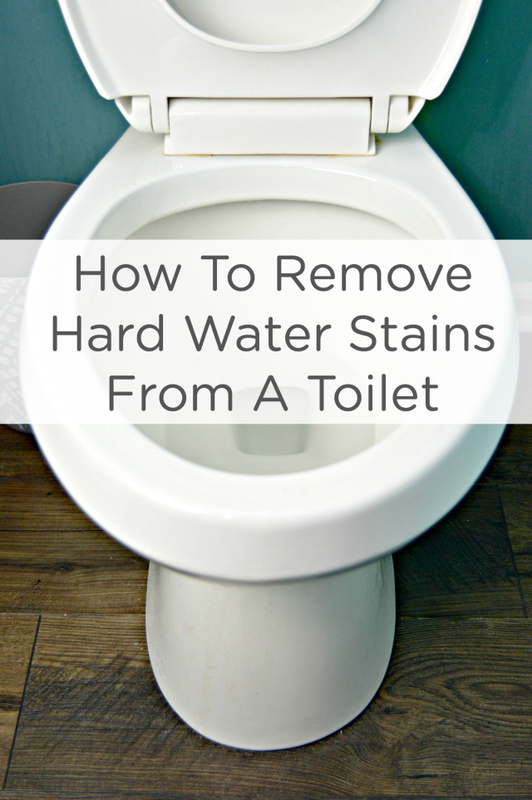 I even have a great trick showing How To Remove Hard Water Stains From A Toilet! 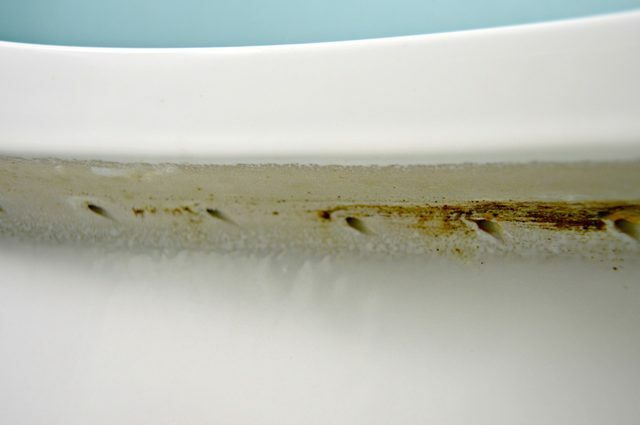 Even if you clean your toilet well and clean it often, hard water and rust stains can form inside. I’ve gotten tons of questions asking how to remove those pesky hard water stains, so today I’m sharing my easy trick using a couple of items from your kitchen pantry. 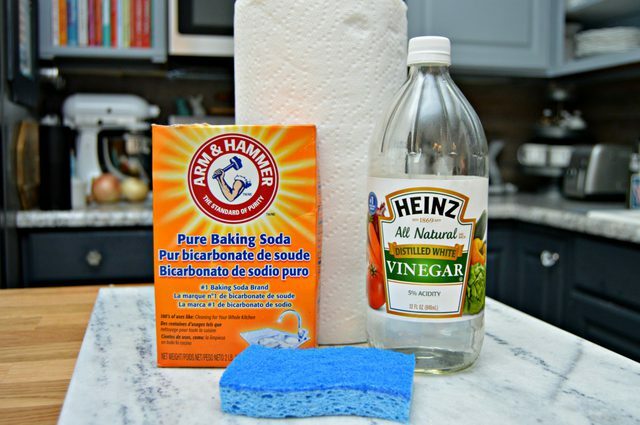 Soak 4 -6 paper towels with distilled white vinegar. 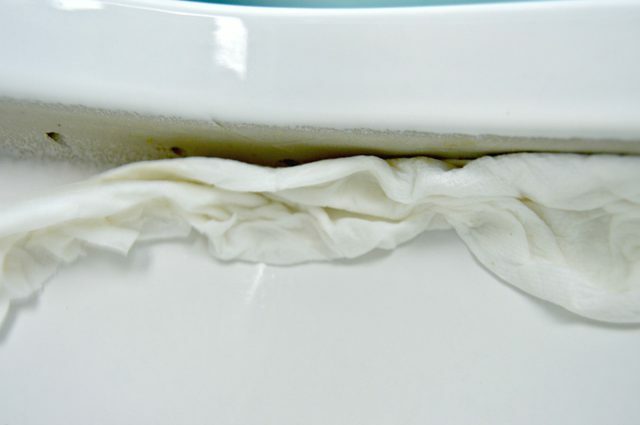 Roll the paper towels up and tuck them up under the rim of the toilet. If you press them firmly, they will most likely stay in place. 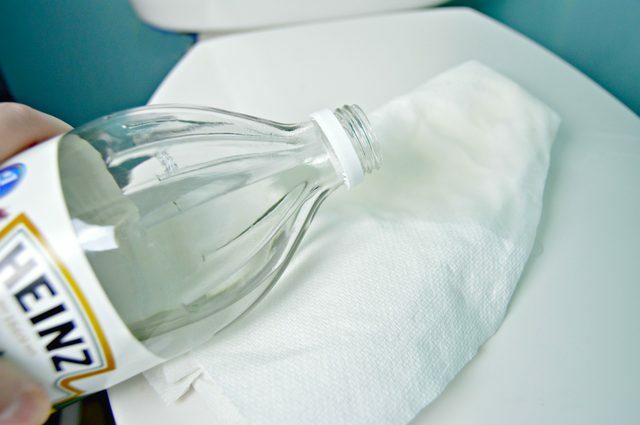 Leave the vinegar soaked paper towels in place for at least 30 minutes. After the time is up, remove them and discard. DO NOT FLUSH the paper towels. They could clog your toilet. Sprinkle about a tablespoon of baking soda on a dampened scrub sponge and scrub the area where the paper towel were. The vinegar will have loosened the hard water stains and the baking soda with the scrub sponge will help remove them. Some fizzing may occur when the baking soda touches the vinegar. 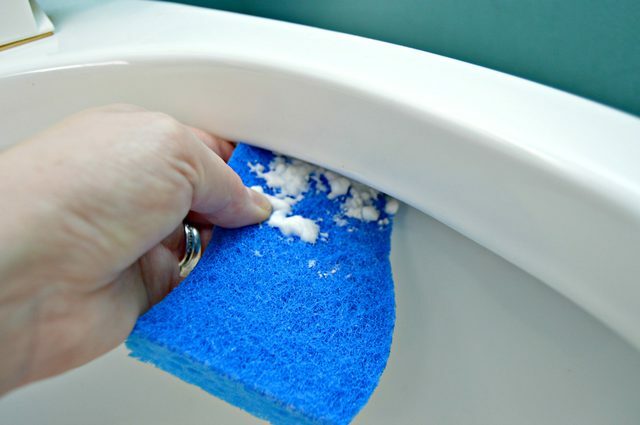 Repeat adding the baking soda to your sponge until you work all the way around the rim. If you have some really tough spots, just spray them with a little more vinegar, add some more baking soda to your sponge and scrub. The vinegar and baking soda together really work wonders on tough stains. Once you have finished scrubbing the entire perimeter, flush the toilet a couple of times to rinse the loosened residue away. You will most likely need to repeat this process every 2 month unless you live in an area with really hard water. Now, check out even more easy tips for keeping your bathroom fresh and clean below! Looking for a more non-toxic toilet cleaner? 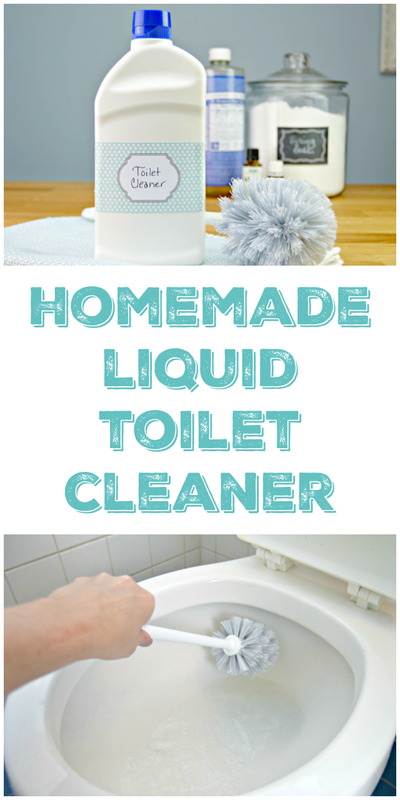 You can find my super easy to make Homemade Liquid Toilet Bowl Cleaner HERE! For an easy way to keep your toilets fresh and clean in between deep cleanings, you can make my super simple 3 Ingredient Toilet Cleaning Bombs HERE! Have mold and mildew issues in your bathroom? 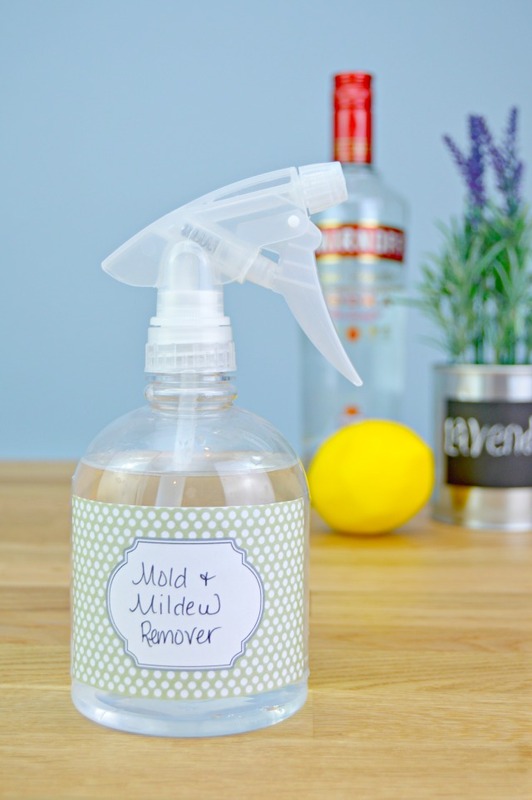 Use my non-toxic Mold and Mildew Remover Spray to help get rid of odors and mildew! Need to go to the bathroom and don’t really want everyone to know? Use my Homemade No. 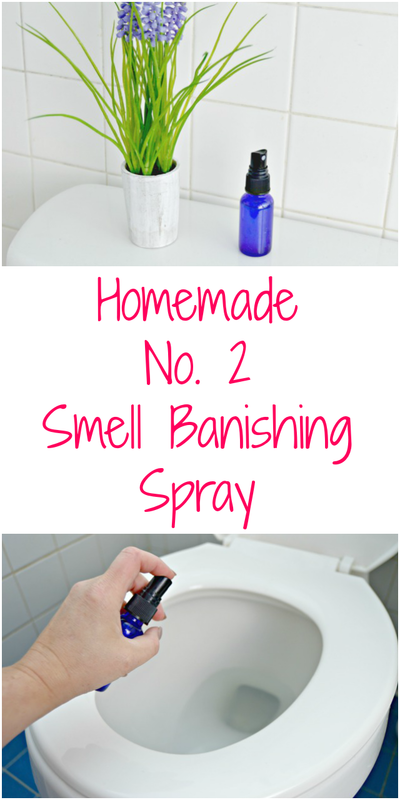 2 Smell Banishing Spray and nobody will be the wiser! It really does work! 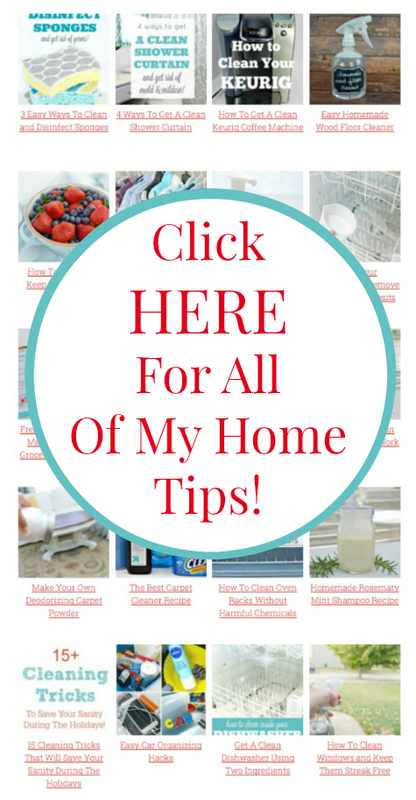 I hope these toilet cleaning tips will help you get your bathroom clean and fresh! I love all of your tips but have a question that has yet to be answered by anyone. How do you get the brown stains off the walls of the molded shower or tubs. I have tried everything I can think of and nothing has worked. would appreciate any help you can give me and I am sure that there are others that would like to know. Oh thank you so much for all these helpful tips. I got got to get making. Thanks to you for sharing. I thank you for tips.